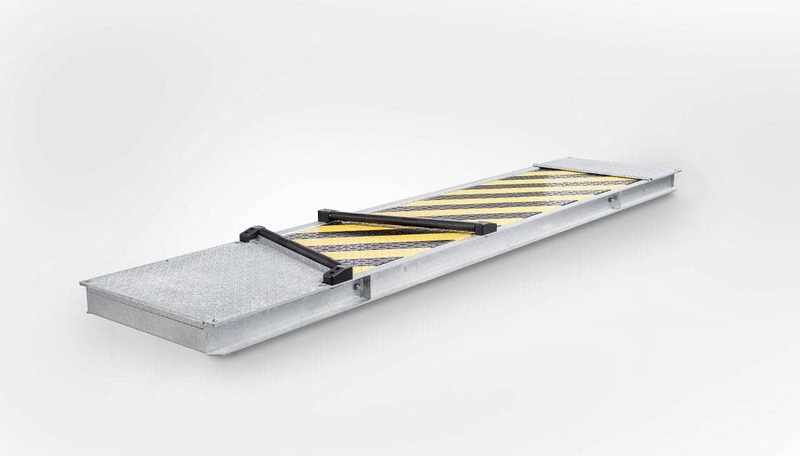 This entry aid in the chain conveyor system is a necessary accessory in overcoming difficult entry situations or in helping drivers unfamiliar with the facility. 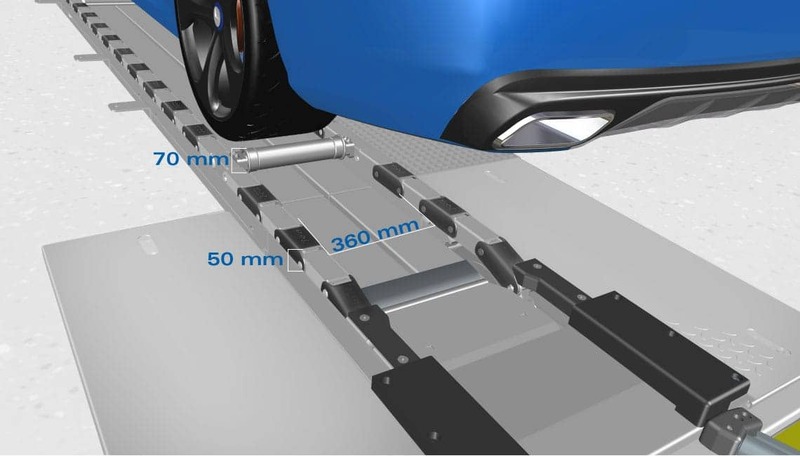 The roller guided floor plate easily guides the wheels into the conveyor lane. The vehicle is driven over the wheel correlator and stopped on the feed-in conveyor (wheel carrier is located on top in centre position as a brake barrier). Feed-in succeeds following program selection on the control console. 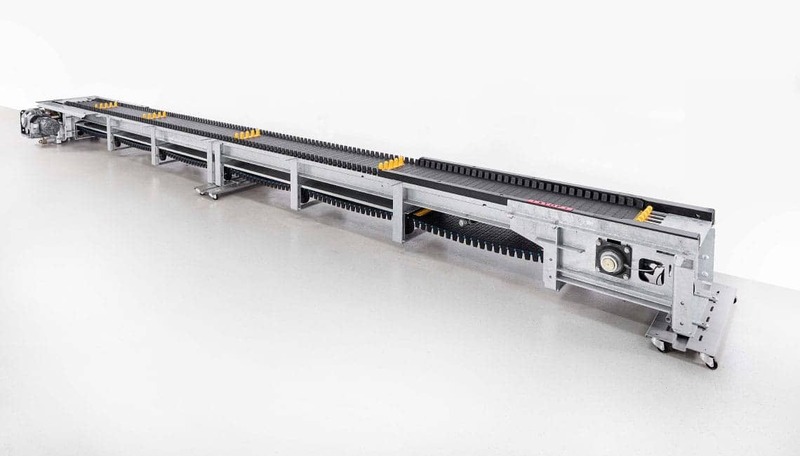 The feed-in conveyor is initiated and the wheel carrier pushes the right front wheel forward until the left front wheel is in the main conveyor (double chain or plate conveyor). 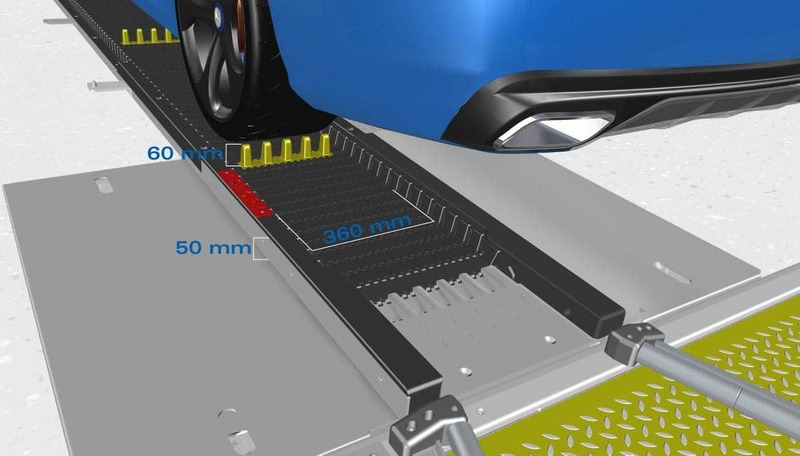 At this point, the vehicle is taken over and pulled by the main conveyor. 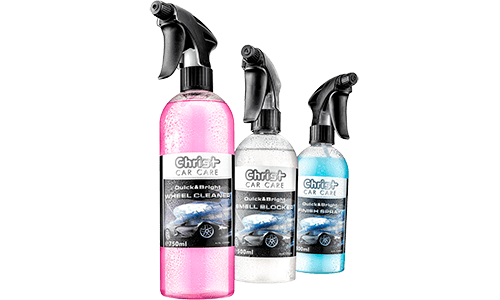 Vehicles are conveyed through the vehicle wash unit by means of chain driven rollers moving at a constant speed. A frequency controlled gearless drive is construed according to the chain length and is used as the drive unit. This drive sits directly on the motor shaft. An integrated overload protection device switches the drive off during an emergency. Therefore, a shearing pin is no longer necessary. The conveyor speed can be regulated and the respectively required capacity can be adjusted to. Rim damages in the conveyor device are minimized by use of protective caps. 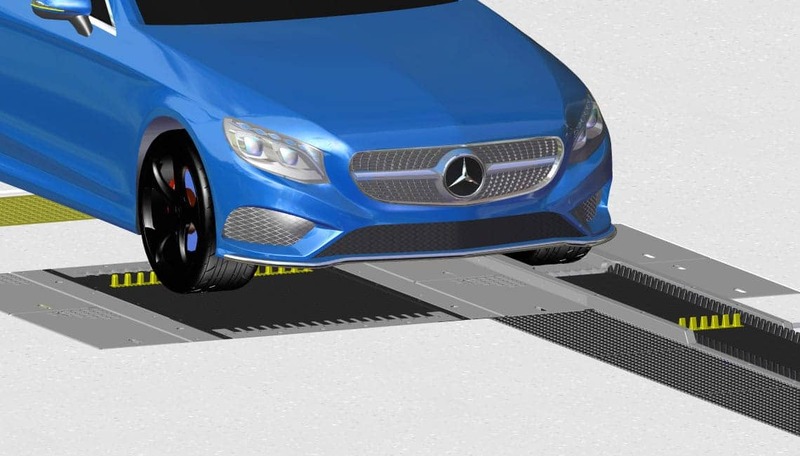 The vehicles are conveyed through the wash stations by the wheel carriers integrated in the plastic plates. Plastic plates with increased material thickness are delivered for conveyor lengths starting at 36.325 mm. The left wheels stand during the drag process on the band (no rolling movement). A frequency controlled gearless drive is used as a drive unit just as with the double chain conveyor. 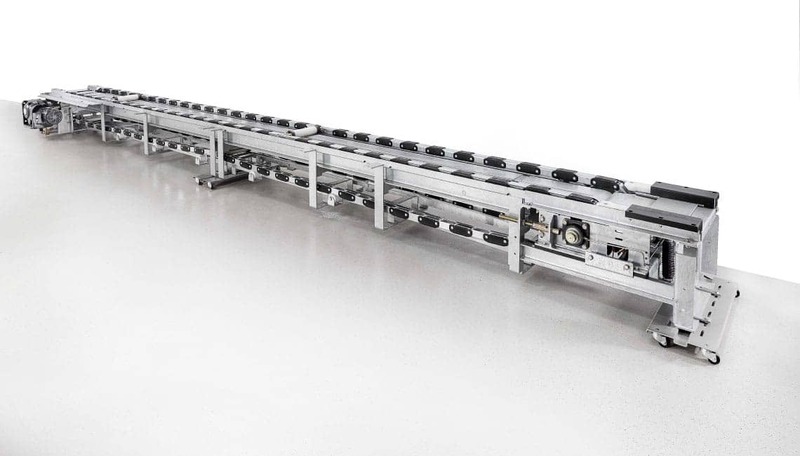 The conveyor speed can be adjusted to correspond to the required capacity. The use of plastic plates prevents rims from being damaged in the conveyor device. 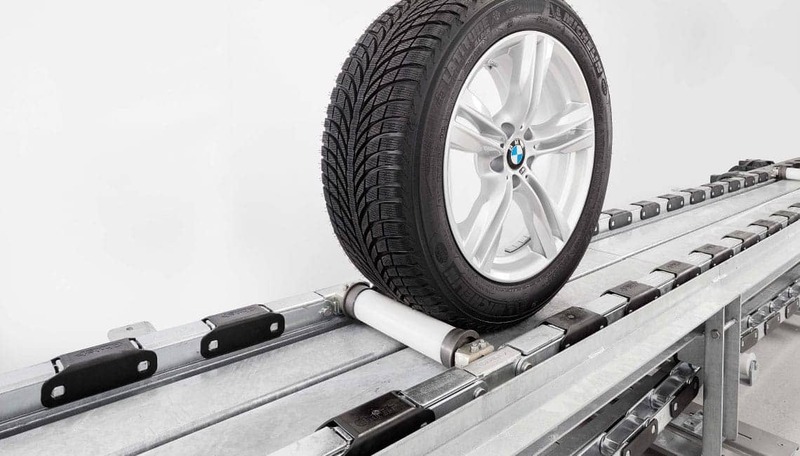 The upturn beams are integrated in the band and move with the wheel and serve for wheel protection and stabile guidance.